Book week is coming around pretty quickly for us and this year Tink is going as Little Red Riding Hood. Luckily I had some red gingham in my fabric stash and a finger puppet for inspiration. 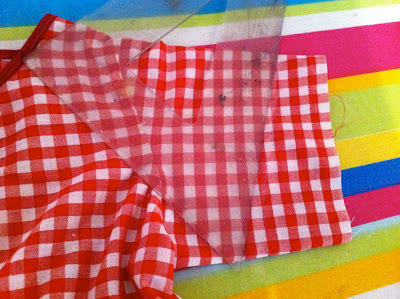 With no pattern, and I'm not sure I would be able to follow one anyway I decided to cut two rectangles and stitch the short sides together as a start to the skirt. Then I moved on to the top, I drew around TInk to get her size and came up with a shape that I thought would work for the top panel. 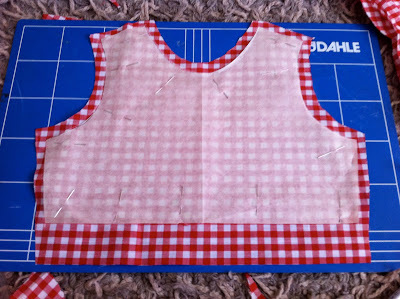 I then cut another one out for the back which I was going to make in two pieces, I cut the neck slightly higher and overlapped the two pieces so that I could have buttons up the back. 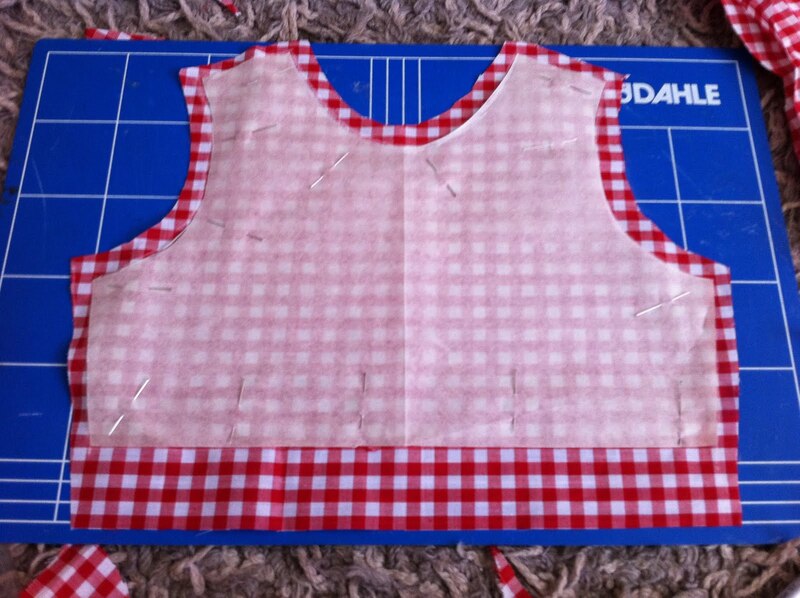 Pinned the front and the two back pieces together and stitched at the top and side seams. I put bias binding round the neck because I thought it would be easier than turning a hem! 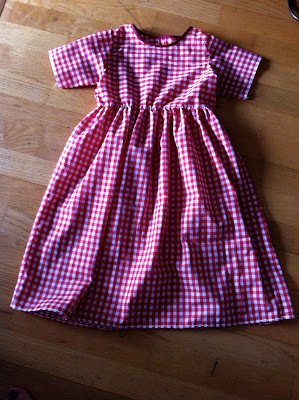 I cut some rectangular shapes for the sleeves and stitched down the longer side and attached them to the dress. Then I had to work out how to attach the skirt to the top. The only way I could think to do it was by putting a running stitch using elastic around the open top of the skirt piece so that I could gather it to be the same size as the top… my machine does have a gathering foot but the instructions confused me! I pulled the elastic quite tight and turned the skirt inside out with elastic side down and the put the top piece inside. 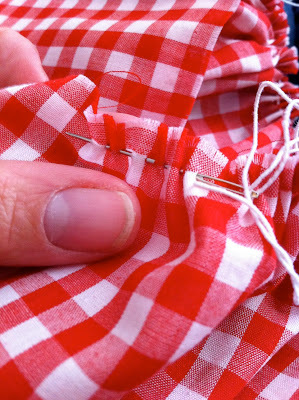 I had to use my feet to hold the tension while I pinned… feet come in very handy when you run out of hands I then turned the little piece of top fabric over the gathered elastic skirt and sewed the two together. 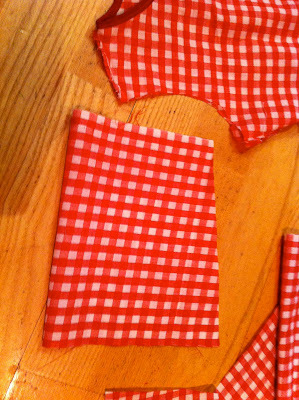 I then cut the sleeves at an angle and put binding on them. 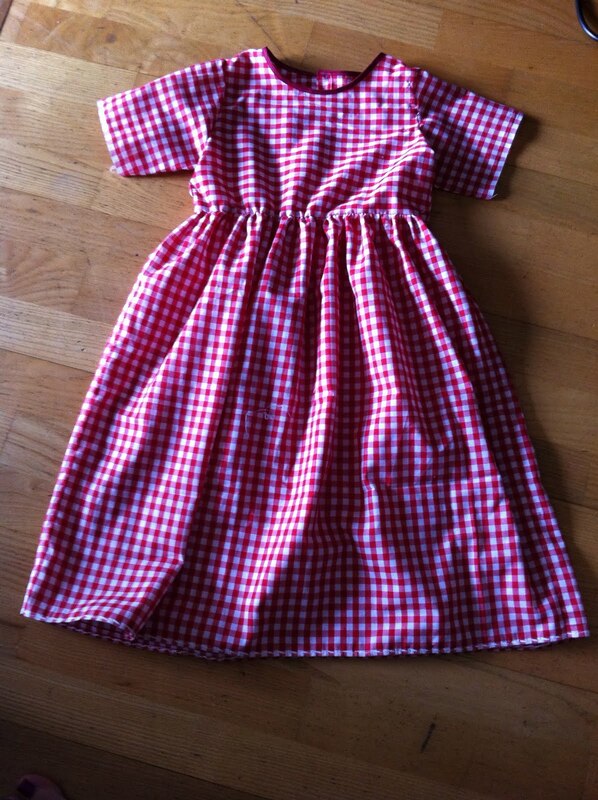 Ta-Da, one finished little red riding hood dress! The hood is very nearly finished and then I'll be making an apron. 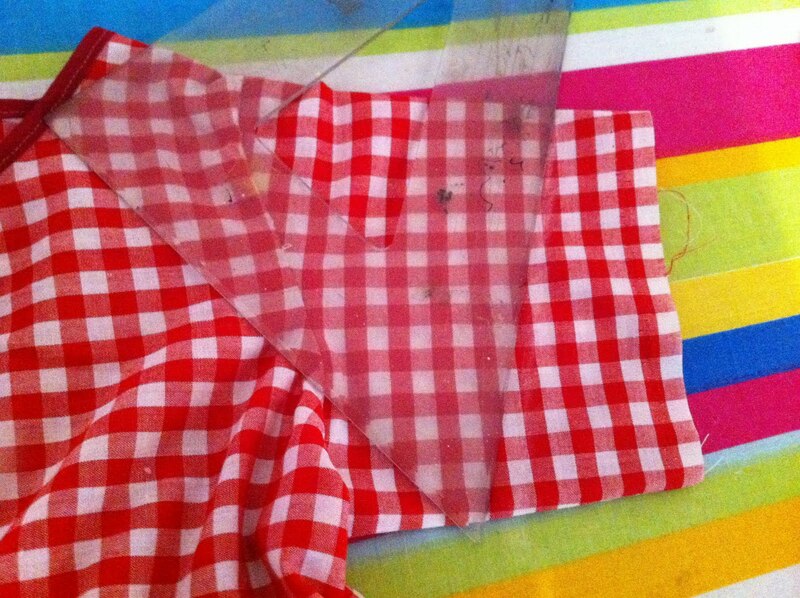 Hope you've all had a good day sewing too. Absolutely… making it up as you go along is much more fun!